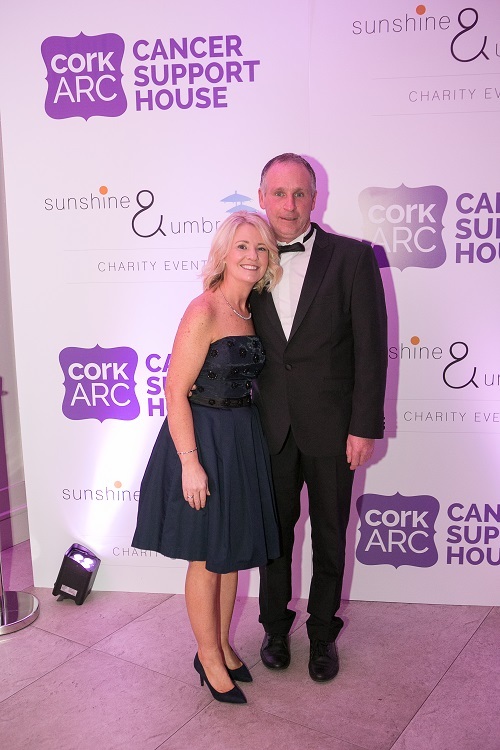 Floortech led the charge on March 1st in support of the Cork ARC Spring Ball in association with Sunshine & Umbrellas. The Clayton Hotel Silver Springs was the setting for an extraordinary evening in aid of Cork ARC Cancer Support House. A fantastic night was had by all, and we'd like to thank our main sponsors Floortech, Brown Thomas, Induchem Group and Dwyers of Cork and all of the sponsors, supporters and guests who continue to show their care and support for our work. The team from Brown Thomas Cork transformed the ballrooom at the Clayton Hotel Silver Springs into a literal spring bouquet, with a stunning floral theme enveloping the room. MC Donncha O'Callaghan charmed the room with his effortless humour and guided our guests through a most enjoyable evening featuring a performance from the Cork Prison Officer’s Male Voice Choir. The Papa Zitas entertained our guests who danced all night in support of our work. 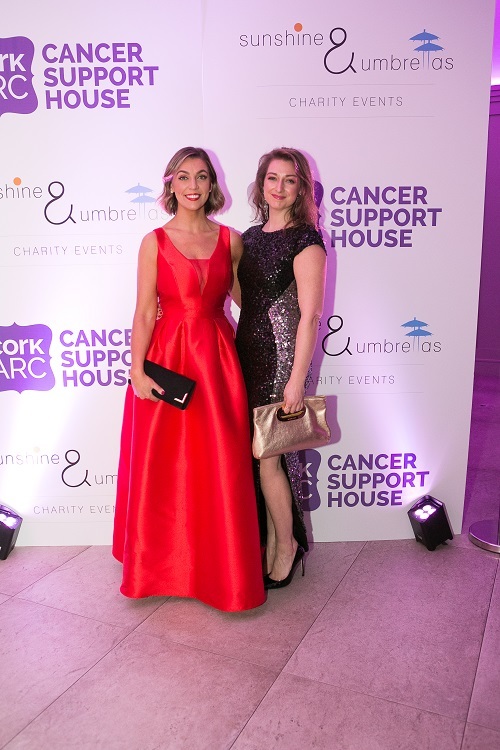 The Cork ARC Spring Ball in association with Sunshine & Umbrellas was the first event in our major fundraising drive to raise money for our newly acquired premises, Sarsfield House, which is in need of major refurbishment. Sarsfield House is significantly bigger than our current premises and will allow us to accommodate the rising demand for professional support services for cancer patients and their families. Construction work is underway and we hope to be operating fully from our new premises in the Autumn of this year. We hope to create much needed awareness about our services and our fundraising drive for the development of Sarsfield House with our ‘Make Room for Cork ARC’ campaign. As you will see from the visual, the safety and comfort that are offered to people who are affected by a cancer diagnosis are depicted by the purple couch. 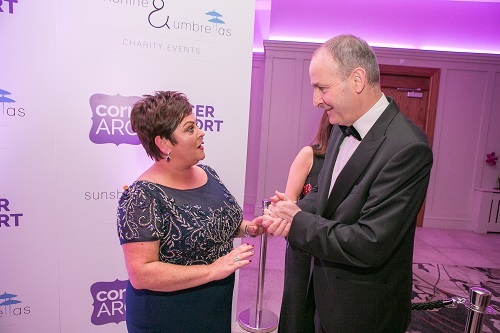 For many reasons and for many ways, the support we received at the Ball has kickstarted this fund and will enable Cork ARC to grow and develop. Our next phase at Sarsfield House will set the scene for the future of cancer support in Cork city and county, and for all those who travel to Cork for treatment and related services. Pictured at Sarsfield House to launch the Cork ARC Spring Ball in association with Sunshine & Umbrellas were l-r: Simon Zebo (Cork ARC Patron) pictured with Niamh Horgan (Sunshine & Umbrellas) and Tony Lehane from main sponsor, Floortech. 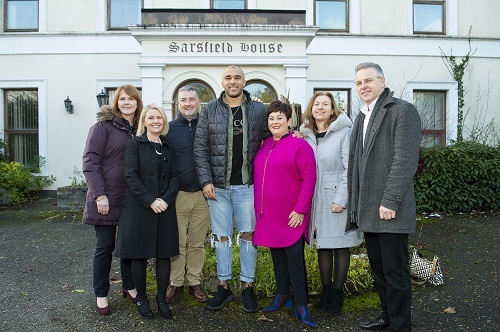 Pictured at Sarsfield House to launch the Cork ARC Spring Ball in association with Sunshine & Umbrellas were l-r: Cork ARC Patron Simon Zebo, Niamh Horgan of Sunshine & Umbrellas Charity Events, main sponsor, Tony Lehane of Floortech and Chris McCarthy of Sunshine & Umbrellas. Pictured at Sarsfield House to launch the Cork ARC Spring Ball in association with Sunshine & Umbrellas were l-r: main sponsor, Tony Lehane of Floortech, Maria Crowley (Committee), Aileen O’Neill (Cork ARC CEO) and Simon Zebo (Cork ARC Patron). 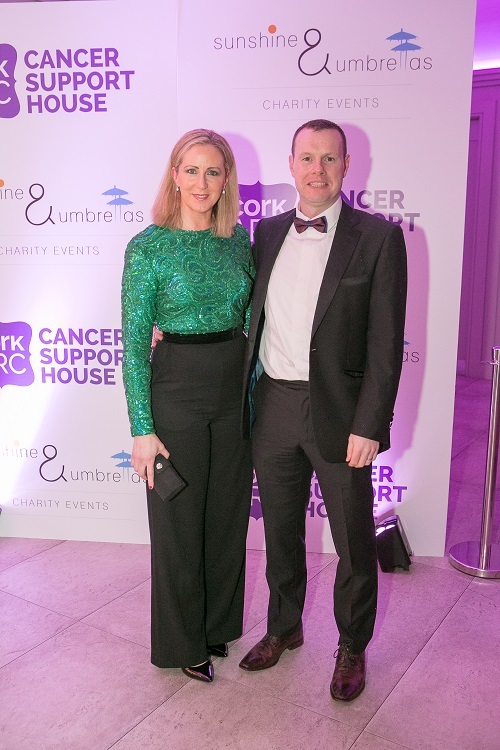 As many of our supporters know, Emma Crowley inspired the establishment of Cork ARC’s Black-tie Ball back in 2016, and we’re thrilled to see the event help to highlight the care and support available free of charge at Cork ARC Cancer Support House for people with cancer and those caring for them. Emma’s Facebook Blog posts show that her call to action around awareness, screening and early intervention can be complemented by the psychological and emotional support available at Cork ARC. Emma’s words always echo with her many friends, family and supporters, "Remember folks, know your body, any lumps, bumps or blood take note and see your GP." 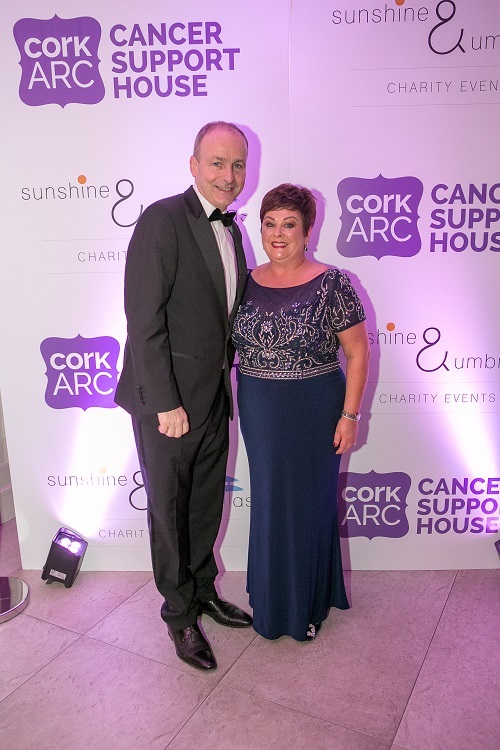 A whole host of sponsors donated generously to raised funds for Cork ARC Cancer Support House. We would like to thank each sponsor for so kindly contributing to our prize draw and auction. Leonard’s Hair and Beauty, Douglas. Two Premium Tickets to Rod Stewart in Pairc Ui Chaoimh, Saturday 25th May 2019, kindly sponsored by Deloitte. Signed, framed Racing 92 Rugby Jersey, kindly sponsored by Cork ARC Patron, Simon Zebo. Follow Sunshine & Umbrellas on Instagram for more news and updates on the ball!